As a result of new aviation legislation, in 2019 all air-carrier pilots are obliged to go through flight simulator-based stall recovery training. 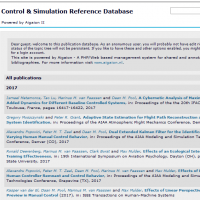 This implies that the aircraft dynamics models driving flight simulators must include stall and post-stall dynamics. For this reason, the division of Control and Simulation has recently set up a ‘task force’ to develop a new system identification methodology for creating high-fidelity stall models specifically for such smaller aircraft manufacturers. In a first step, a stall model for the Cessna Citation II laboratory aircraft will be created based on a data-driven system identification approach utilizing existing flight test data. The current data set provides a good coverage of the static stall regime, but does not adequately cover the dynamic stall regime that includes, for example, stalls that are induced by quick pull-up maneuvers. Hence, new flight tests will be conducted in the dynamic stall regime, and new approaches will be investigated for optimizing excitation during the often fleeting moments of stall. 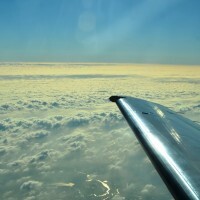 The following movie gives an impression of the dedicated stall flight test experiments performed with the Cessna Citation II PH-LAB research aircraft in December 2018.